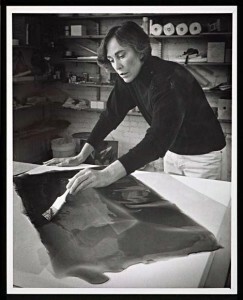 Helen Pashgian uses industrial materials such as polyester resin to create objects with luminous effects, which has led her work to be considered part of the Light and Space movement that developed in Southern California in the 1960s. Light and color seem suspended in the spherical form of this untitled work, but they also exceed the boundaries of that form. 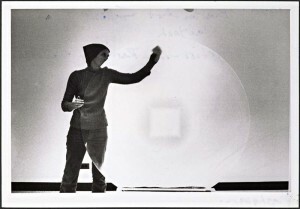 As the viewer moves around the piece or as lighting conditions in the gallery change, colors meld and reflections shift, destabilizing the boundary between the interior of the sphere and its surface. 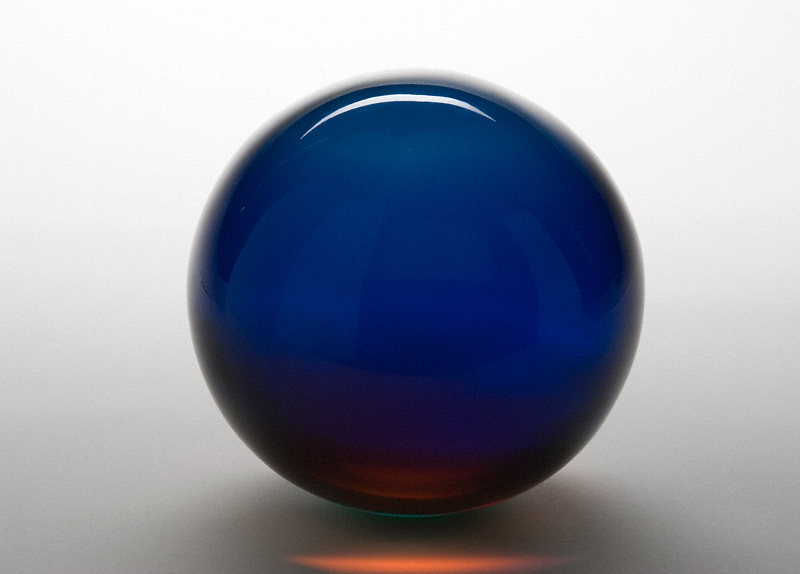 Pashgian’s cast spheres, like other minimalist works, focus attention on the viewer’s perceptual experience, but they are also highly enigmatic objects that seem to glow with their own life. Exhibition audio: Learn the role of the Southern California environment in Pashgian’s work.